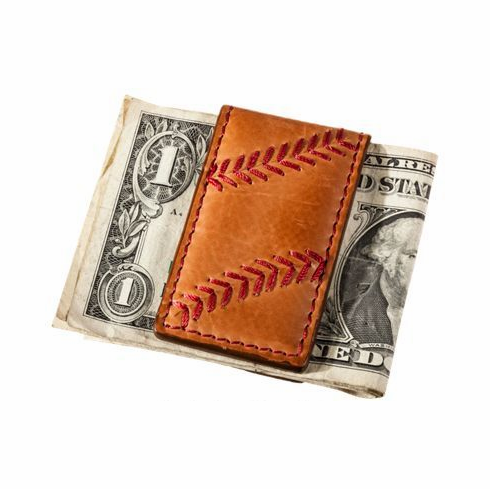 Vintage Tan Leather Baseball Stitch Magnetic Money Clip by Rawlings. Hand rubbed burnished calfskin leather...minor imperfections are common which makes each money clip unique! Measures appx. 1.5" x 2.75" x .38". Money in picture not included.